Our friend Carrie and Dan’s mom Sandy threw us a baby shower at the Planet Sub in Topeka on Saturday, June 21. In addition to Dan’s family, we invited our Topeka friends, including Lissa’s favorite book group folks! 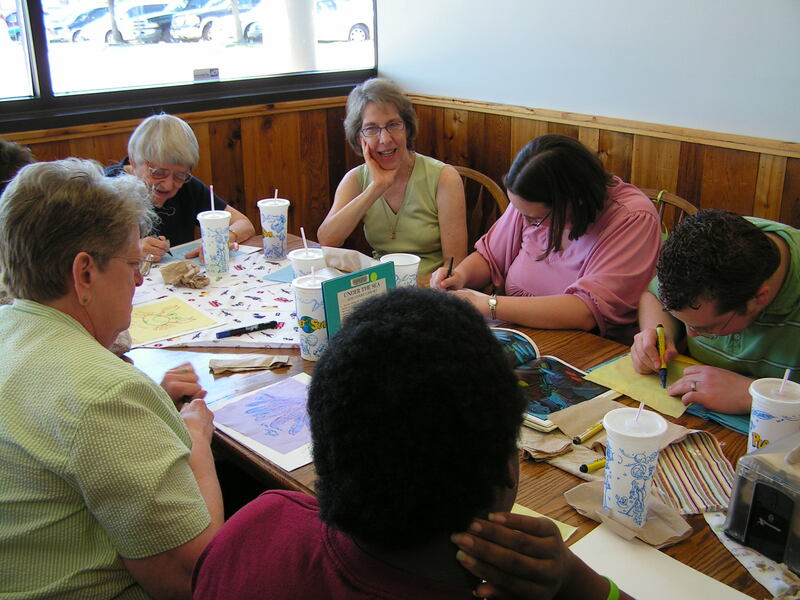 We ate sandwiches, and Sandy’s tasty carrot cake, then everyone used fabric markers to draw or trace underwater designs onto fabric squares for a baby quilt. Dan’s brother and sister-in-law, Jon and Sara, made this creative (and huge!) 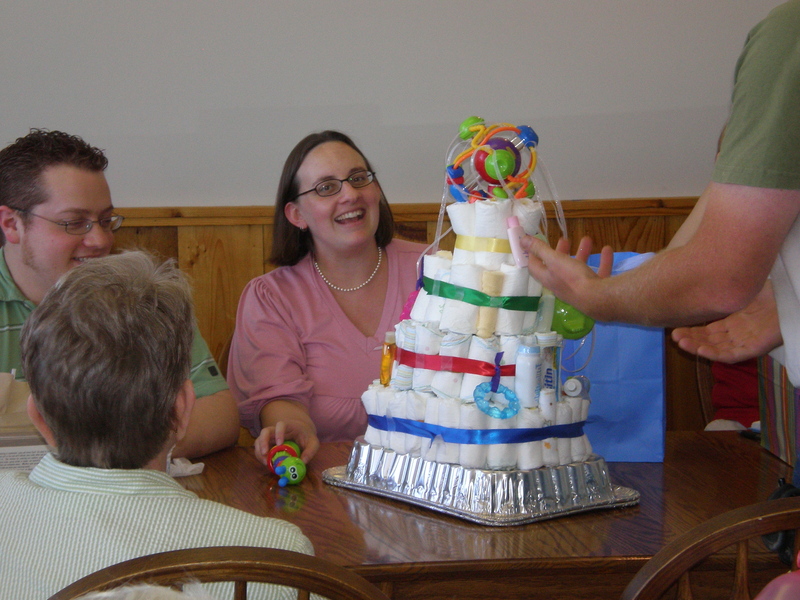 diaper cake and decorated it with baby necessities and toys. What a treat! 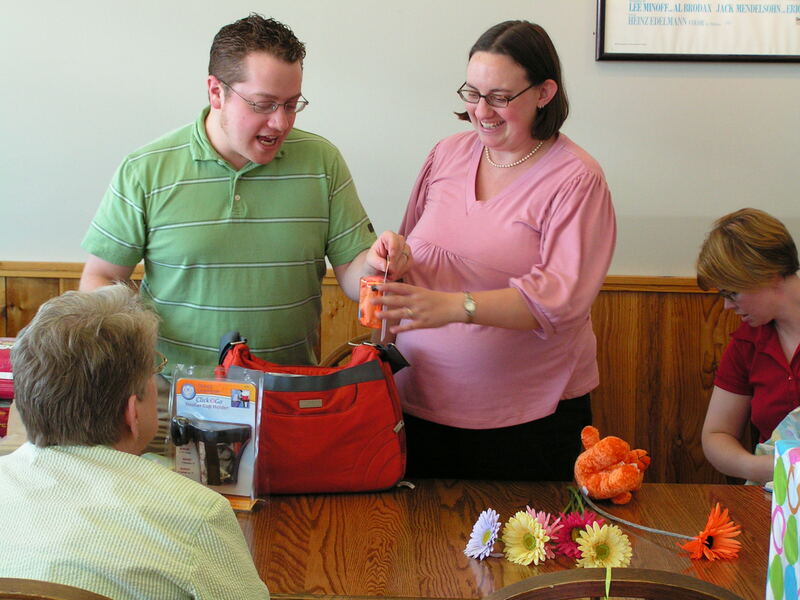 Dan’s dad picked out some special baby accessories in Dan’s favorite color – ORANGE! « what’s inside? a baby bear? twins?